Suspicious about a little extra scratching and scampering you hear around your home? You could have a rodent problem. Sometimes it can be difficult to identify whether or not you have a rodent living in your home, but once you start to notice the damage and droppings they leave behind you will want them gone! Rodents can be very destructive to your home, chewing through wires, cords, food pantries, or even your items in storage. Some other signs will include droppings, a musty odor, and even greasy marks left behind on their frequently traveled paths. 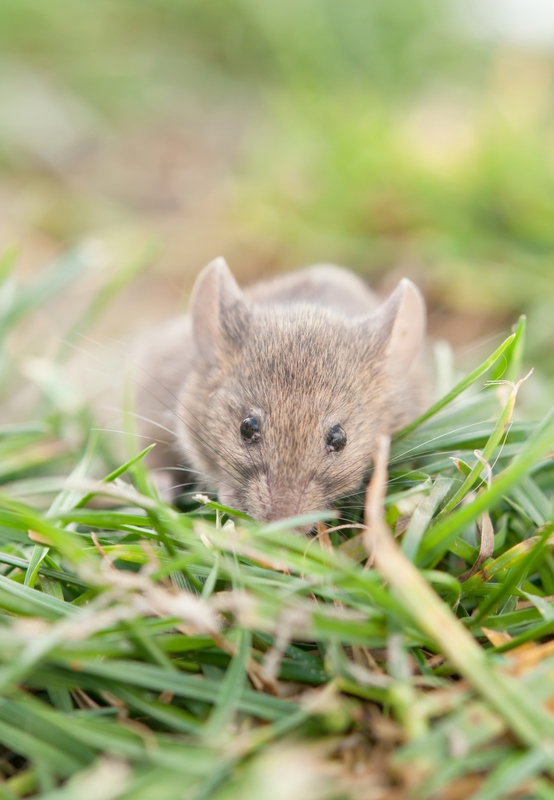 Rodents like to hang out in similar spaces, and its a good idea to check these areas frequently in your home to make sure that you can catch signs of rodent activity early before they cause severe damage. Often times, rodents will not be in plain sight, and they do not like to stay in frequently occupied areas. Their favorite hiding spots include all the spots you are checking the least, like attics, garages or storage areas, closets, inside of walls, and sometimes the kitchen. It’s easy for small mice, squirrels or rats to find small cracks and crannies to squeeze their tiny bodies through and make a nice home in your attic. Their active hours are during the nighttime, so if you hear crawling and scratching noises coming from above, you can easily identify the issue! A good practice is to check your walls for small cracks and holes that would be easy for mice and rats to slip into. They take advantage of these holes and make homes inside the walls, crawling around looking for nesting materials and destroying your home. Often times, rodents can get into your walls and pass away, leaving you with a deathly odor, trying to figure out where it is coming from! Inspect baseboards, exterior walls, etc. and make sure to make immediate repairs in order to prevent an infestation. 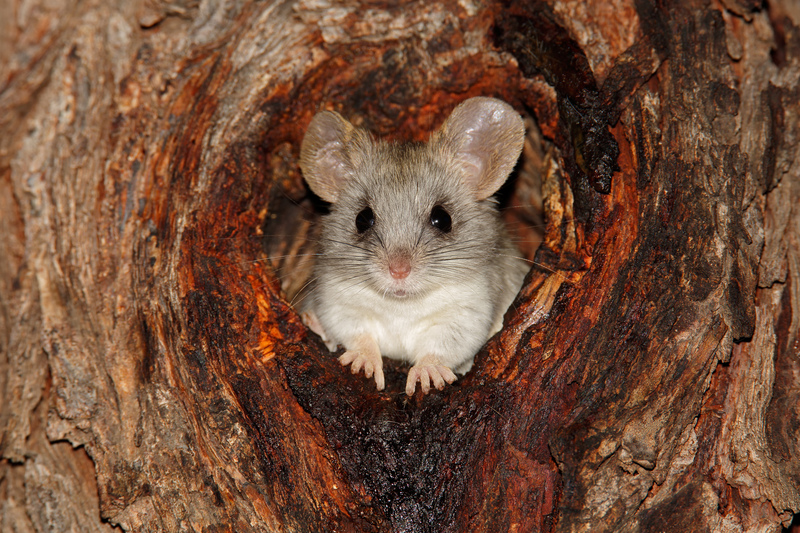 Garages, storage closets, and sheds are all also common hiding spots for rodents. Many times these areas of a home can be cluttered with storage, boxes, and other forgotten items, and are not being visited frequently. Cardboard boxes are especially inviting for rodents and other unwanted pests, so using sturdy plastic storage bins is a better way to store your belongings long term. Make sure to visit these areas on a regular basis and look for signs of rodents because once they have found a home in your storage, they can become extremely destructive, potentially causing thousands of dollars of damage. And finally, the kitchen. Rodents want food!! Being near food and water resources when selecting their tiny rodent home is a huge bonus. Many times mice and rats will make homes behind appliances or any tucked away limited access area they can find. Keeping a tidy kitchen can be huge when it comes to discouraging a rodent infestation. A house full of forgotten crumbs and sticky residue is the perfect feeding ground for rodents. Keep it clean and make sure your food is stored properly! You don't want to find mice droppings in your cereal box in the morning. I THINK WE HAVE A RAT! Of course, rodent infestations can happen to anyone, and Hopper Termite and Pest just so happen to be experts on the issue! If you believe you are seeing signs of rodent activity, it is always a good idea to attack the issue early and give us a call. We will inspect your home, and come up with a solution to rid you of your problem. We can do this safely, quickly and affordably, and we guarantee total elimination of the issue. We also make sanitation recommendations, and other practical treatments to eliminate and prevent any pest control issues in your home.